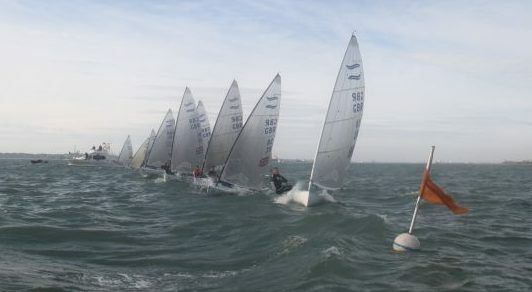 Last weekend 12 Finns travelled to Weymouth for the second RYA Spring Series Regatta. 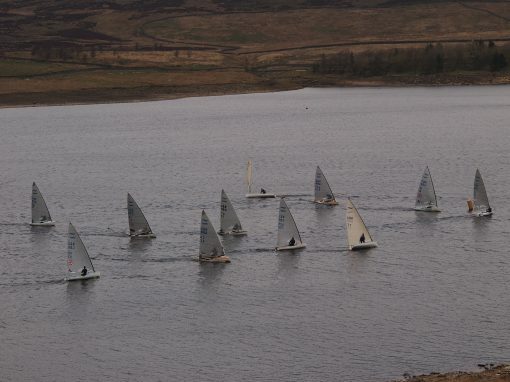 The fleet comprised 6 Masters and 6 Under 23’s, 5 of whom are members of the new British Finn Association Under 23 squad. The newly formed Under 23 programme has been designed to fill the gap between the national youth classes and the Olympic Programme, this weekend was the first in their training schedule leading up to the Under 23 Worlds in Aarhus, DEN, known as the ‘Silver Cup’. Ex British Sailing Team sailor James Hadden is coaching the group and was on the water to support the young sailors in their first U23 squad session. Saturday started with a very light 4-6 knots from the SW that gradually built until the first start. A number of boats received yellow flags on the first downwind, including eventual winner British Sailing Team sailor Hector Simpson, who had to work very hard on the second beat to move through the fleet. Markus Bettum and Cameron Tweedle, both of the new BFA Under 23 squad, fought hard on the second downwind but were eventually overtaken by Simpson. 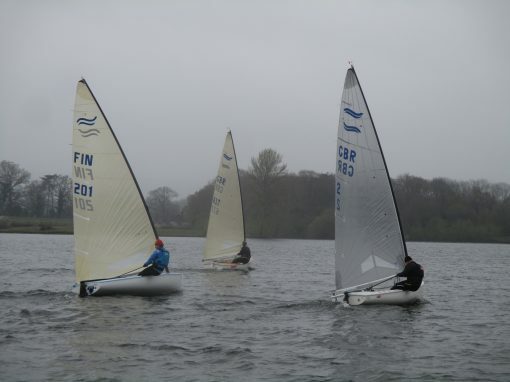 Race 2 saw an increase in breeze, however with ‘Oscar’ not being raised it left for an upwind speed race between 16 year old Callum Dixon and Hector Simpson. Cameron Tweedle was pushed hard to the finish by Matt Stevens and Tim Newton. 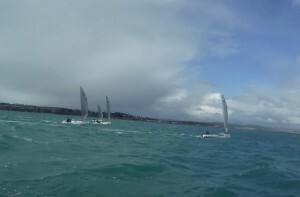 The wind was finally above 10 knots and the fleet fought hard in race 3. Master Jonathon Tweedle took a solid lead and was only caught in the last 50 meters of the final downwind by Simpson who was starting to get into his stride. 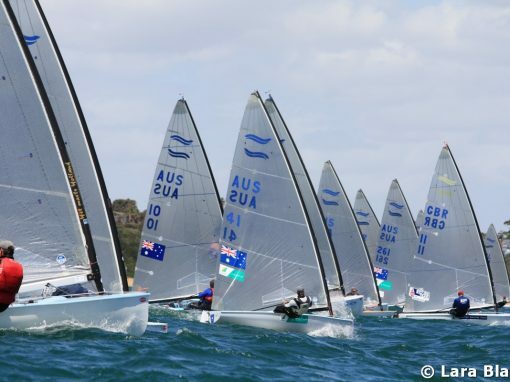 After a number of place changes behind amongst the U23 sailors; Markus Bettum, who was recovering from a breakage in Race 2, took third followed closely by Stevens and Tweedle. Another close battle in race 4 saw Simpson pushed all the way to the finish by Dixon and Tweedle, who showed great speed all around the course. Ray New finished just behind Bettum showing the U23’s that they were not going to have it all their own way. The conditions were becoming very physical as the fleet raced to the finish and with the wind reaching 15+knots, the Finn was showing its class. Race 5 was fought out in an ever-increasing breeze, with the U 23’s trading blows on the upwinds with Hector Simpson. The downwinds were where Hector pulled back through the fleet with better fitness and technique, really showing the new sailors the level they need to be at. Simpson crossed the line first followed by Dixon, Stephens and Bettum. The final race of the day saw gusts of up to 27 knots and the sailors boat handling was tested all around the small course. 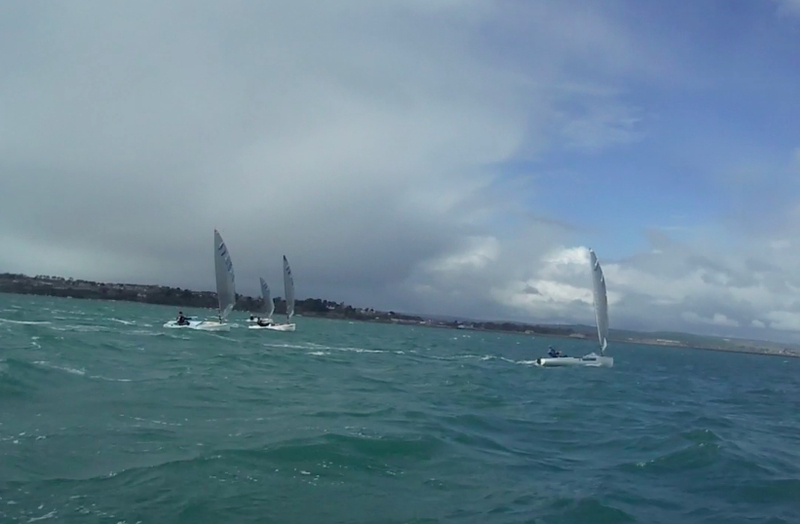 Simpson had commanding speed on the downwinds, pulling out a lead that couldn’t be touched by the U23 sailors. A number of the Under 23’s have only just moved into the Finn having out-grown the Laser – so the conditions were a baptism of fire. The results however show that there is great potential for the future as Simpson was quick to concede. Unfortunately Sunday saw winds of over 30 knots and the race committee decided not to launch the fleet. The final results were: 1st Hector Simpson, 2nd Cameron Tweedle and 3rd Callum Dixon.